Step 1: firstly, go the Settings menu of your phone. Step 2: go to the option that allows you to manage your applications, and from there, enable the option to download applications from unknown sources. That’s how the majority of Android devices allow the download of apps that aren’t available on Google Play. 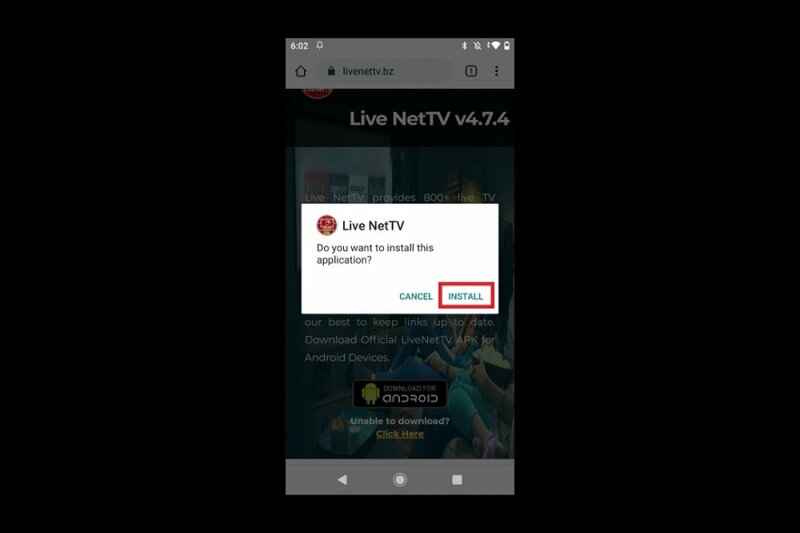 Step 3: you can now go to the Live NetTV datasheet on Malavida and click on the green Download button or go straight to the official Live NetTV website to download the app to your device. Step 4: once you’ve completed the download, go to the folder where your downloads are saved and click on the APK or simple go the notifications tray to launch the installation from there. Step 5: you’ll immediately see how the installation process starts. Simply accept all the steps and wait a few seconds for the process to be completed to be able to start using the application. As you can see, the installation process is slightly different than if you were doing so from Google Play, where you only have to search for the application, press the Install button and wait for Google’s official store to do everything else. The reason why we can’t download Live NetTV from that marketplace is that it serves links to contents that on many occasions are protected by copyrights, which goes against the policy of this store.